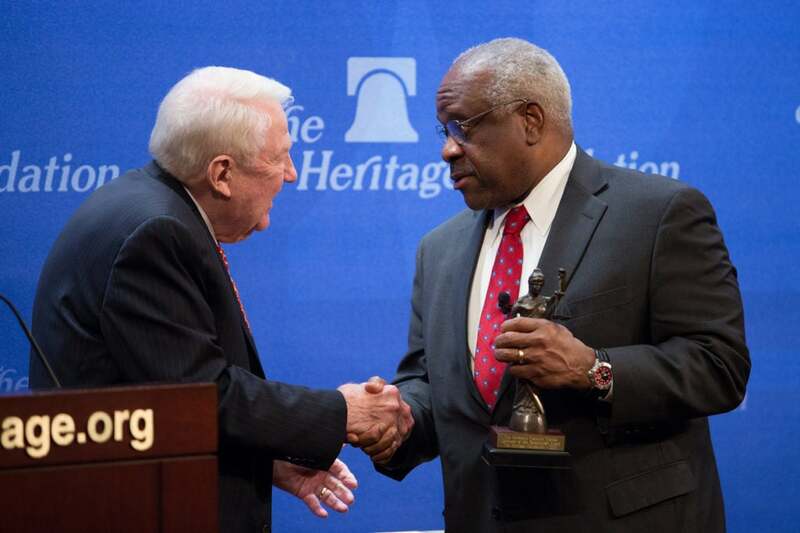 It is important for the Supreme Court not only to base its decisions on the Constitution but to issue opinions that address the questions of everyday Americans, a relaxed Clarence Thomas said Wednesday night as an honored guest speaker at The Heritage Foundation. Supreme Court justices, he said, are “obligated to work with” what is in the Constitution, and owe Americans a clear explanation of their decisions based on it. Sunday marked the 25th anniversary of Thomas’ swearing-in. 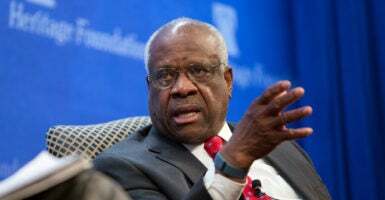 Thomas, who drew an early laugh by saying he is “not a navel-gazer,” is the ninth eminent jurist to be asked to deliver the think tank’s Joseph Story Distinguished Lecture, and the first to do so in a conversational format rather than in formal remarks. The annual lecture is named for Story, the celebrated advocate of judicial restraint who served 33 years on the Supreme Court following his appointment by President James Madison. Thomas, 68, spoke casually as he answered questions posed by John Malcolm, director of Heritage’s Edwin Meese III Center for Legal and Judicial Studies and the Ed Gilbertson and Sherry Lindberg Gilbertson senior legal fellow. 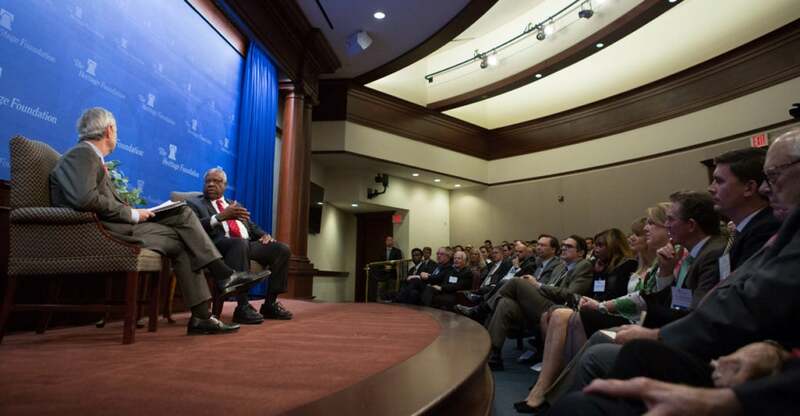 The two men sat on a stage before an audience of 200 guests, including about 30 of Thomas’ former law clerks, in the think tank’s Allison Auditorium. Meese, the former U.S. attorney general and Heritage’s Ronald Reagan distinguished fellow emeritus, introduced Thomas in his role as host. Thomas returned the compliment, referring to Meese’s grace under pressure as counsellor to Reagan and, later, as attorney general. Thomas, the second black justice to sit on the court, laughed heartily at times. Once was while retelling the story of being approached—during one of his annual trips to Gettysburg with law clerks—by a man who asked him to sign one of his opinions. 7) On improving the judicial confirmation process: “There’s always hope, but this city is broken in some ways. I’ve been here most of my life now, and I think we’ve become very comfortable with not thinking things through and debating them”—and instead trying to “annihilate” the other side. “We’re destroying our institutions, and we’re undermining them,” he added. He did recall one brief, from “Electrical Engineers Supporting Neither Party” that he said explained “the grid” to the justices in a way the parties to the case failed to do. 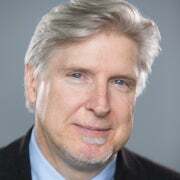 Thomas’ predecessors as Story lecturers include fellow Justice Anthony M. Kennedy, law professor John Harrison, and six other judges: Robert H. Bork, A. Raymond Randolph, Alice M. Batchelder, Diarmuid F. O’Scannlain, Janice Rogers Brown, and Carlos T. Bea. Meese presented Thomas with Heritage’s Defender of the Constitution Award as well as with an extra copy of “Commentaries,” which he suggested Thomas could use while on the road in the RV. “Do you mind if I share it with my colleagues?” Thomas deadpanned, to laughter and applause.